Conflict. . . Unrest. . .
On earth as it is in heaven. . .
At the precipice of a planetary evolution, the world ends. . . .inevitability. . .
. . .apocalypse. . .
And this is my hope for the world, shared from the depth of my soul and joined in the voices of many self-honest truth seekers who have seen for themselves. . . renewal! The mystics know; the children know; even the birds know – the world is ending. Of course, this does not imply the blatant physical, material and totalitarian destruction of humans (so let us not employ the same scare tactics of every evangelizing preacher under the sun), it is instead the ending of a human world. Recorded legends on ancient tablets point toward an era of renewal that will give way to the fabled Golden Age, a Brave New World—a true new age. But this is no new idea at all, rather it is something predicted by the main tenets of every true spiritual path throughout history, differentiated solely by semantics and appearing as varied as opinions from the Second Coming of Christ to the the cosmic collapse of the material universe by some rift in space-time or even dark matter and black holes. You can label and interpret, even sugarcoat, what is happening any way you like—the simple fact remains: There is an undeniable feeling shared throughout the collective human consciousness that something is about to happen—that something is happening—and yet it all seems to endlessly cycle back and forth in some determined fragile balance. thank you, call back later. It may seem like nothing new; but no, this time it is different. In the wake of this self-honest planetary need for a Great Awakening, and on the cusp of a true new age, many “cults” have risen in recent past, loosely termed “pagan.” Yet, in all of their once revolutionary efforts marked upon human consciousness, what they have to offer is often really only a “turn of the wheel,” simply providing a different container for the same content, proving to us once again that humanity has not evolved much since the days of antiquity. Understand we are not here to tell you what to think, raising our “Mardukite literature” to some new authoritarian heights, but we are offering critical information and data correction for your noggin so that you might self-honestly think for yourself. The emphasis here on self is not merely some glorification of individualism or newfangled ego-worship, but an affirmation that if we really want to change the world, we had better clean up and change our self first. human being takes the responsibility to grasp the self-honest realizations of who they are and where they come from, what the world is and how it was made, of the stuff dreams and stars are made of, the universe and everything—when the experience of all these things can be done honestly from self, then the race will see an end to the current melancholy, heinous nonsense that is happening and has been happening for quite some time—a condition that is actually anathema to the survival of the very creatures that keep these things the way they are! • Every human being has the potential and responsibility to experience life in self-honesty. • Every human being has the right and freedom to demand this of their existence. • Every human being has to embrace some universal oneness in order to live in harmony with itself as a race of brethren; with the Earth as a base of homestead; and with the universe as a matrix of existence. Only then can humans experience true unity with all life, the universe and everything! This is our true and destined existence. We forget easily; we are often sad; we suffer; we lose sight. To regain anything meaningful for the present and any hope for the future, we must remember what once was, and fortunately for us, an order of some of the earliest mystics thought of just that—so they created cuneiform-writing. GATES OF THE NECRONOMICON or THE SUMERIAN LEGACY, as with the remaining “cycle” of literature produced by the “Mardukites,” is sure to present to you ideas of “history” and “magic” in ways you have never seen, or maybe even imagined before. The tradition that it represents does not deal in rudimentary hierarchical grimoires or the application of general hermetic principles upon some historical ethnocentric tradition. The “Mardukite” work runs much deeper than even this. It presents The System—the archetypal system—that has formed the basis for every mystery tradition to later emerge. In other words: if you can correctly understand the means and motives of the mysteries and religion of Babylon and Sumer, you will correctly be able to interpret “history” and “magic” as a whole—whatever these words may mean to you. You will become privy to the beauty of the original efforts that have mostly deteriorated with time, probably attaining its lowest evolutionary depths in Christian-controlled medieval Europe – or even in the practices of modern day Jews and Muslims who use religion to shroud political reasons for killing one another. Even more important perhaps, you will become aware of what really happened in ancient Babylon, and understand whether or not it really was the right way to execute Divine Order, and why. 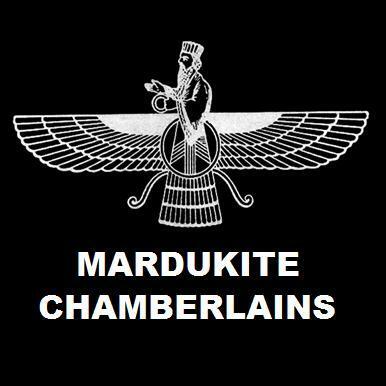 Indeed—the focal point of the modern Mardukite movement has never been about bringing back the verbatim “Babylonian paradigm” one-to-one, because this would only be the “turn of the wheel” again, and we’ve already grown dizzy and tired by such ventures. This time, it’s all about fixing what went wrong, actually fixing the problem of systems, the root of all problems really, at the core. When every individual takes up the Sword of Truth against the world, executing the acid test of self-honesty on reality, then no doubt a new, better, upgraded aeon will really begin for mankind. This, we call: New Babylon!